Qualityis at the heart of everything that we do at DMTI. DMTI works with senior digital marketing professionals to not only design the curriculum but to also teach the same. We bring in subject area experts for every aspect of digital marketing – each topic is taught by experienced professional who specializes in that topic. DMTI mentors have a proven track record in their work places. An accomplished senior marketing and analytics professional having around 10 years of experience in Digital Marketing Strategy, Digital Analytics, Brand Management & more with expertise in building & leading successful teams mostly for e-retail vertical. Having worked primarily with start-ups in high pressure environment with immense focus on growth in short duration, Abhishek is acclimatized in identifying cost-effective and efficient solutions to various marketing & business challenges. His core skills and areas of expertise are SEM, SEO, Display/Re-Marketing/Dynamic Re-Marketing/RTB, Social Media Marketing, Affiliate Marketing, Content Marketing, Media Planning & Buying. Ajay is a gamer by passion and a marketing ace by profession, with an experience and expertise spanning more than 11 years in the Interactive Digital Space. He has been instrumental in nurturing Ibexis Studios in the field of Social Games and Apps on Web, Social Media, Smartphones and Tablets. Under his guidance, Ibexis Studios is providing Games and Apps designing & development services for iPad, iPhone, Android and Touch Screen Devices. Ajay specializes in Mobile Entertainment, Sales & Marketing, Business Development, Account Management, Digital/Online Distribution, Computer Design and UX. Aman is working as the Head brand solutions team at Google India and is responsible for commercialization of YouTube. Before this, Aman was leading digital for the mobile business for Samsung, India. He provided Samsung India with his expertise in digital marketing assets – internet, mobile, gaming, digital OOH, and similar digital mediums to engage consumers. He has been active to develop, utilize and manage digital media such as internet, mobile, and interactive TV as consumer communication tools, develop and actively manage web/wap sites of products and services for consumer interaction and support various promotion/PR (Social Media) activities where technology plays a critical role. Amit has over 13 years of experience in digital industry, handled online marketing for various reputed brands. Currently he is heading OMD group digital and mobility. With having worked for Digital agencies like Madison and Mindshare , Traditional Agencies like Leo burnett and Percept, with brands like Geodesic, Travelguru and Yatra and publisher like Indiatimes, his experience in digital advertising has covered all .He has handled varied clients in Telecom, FMCG, Ecommerce across Paid, Owned and Earned Media. He has also handled digital media initiatives for BJP campaign (Ab ke baar, Modi Sarkar) in 2014 very sucessfully. He has won many awards like ‘best Use of display advertising ‘, the smarties, the abby’s , Best use of mobile in marketing campaign for his companies . Over 17 Years of experience in the online industry. Expertise in Natural Search Marketing. Currently working with [email protected] as National Director of SEO, Responsible for SEO Business, SEO Account Development, SEO Strategy, Operation, Implementation, Deliverable and Planning. Strong understanding of internet business and eCommerce with an ability to multi-task and manage time effectively. Anil has also worked in a variety of Indian and Global industries, including the mobile sector, finance, e-commerce, real estate, technology and health.He has supported a number of important search marketing clients like ICICI Group, HSBC, Airtel, Cleartrip, GE, SBI, Dishtv, Genpact, and Vistara, Dabur, HUL, IBM, Mphasis, HR Block, Nestlé, Koovs to name a few. With over 14 years of experience in digital space, he has helped establish Programmatic Practice for Microad in India. he has been responsible for heading the Online Retention/Advertising Business for Delhi/NCR along with the overall Sales Revenue including the acquisition business.Anil has adeptly handled a large team of People comprising Sales Managers,MAMs,KAM,Retention Managers and Account Managers. Anurag is Founder & CEO of markt.ooo; a B2C e-commerce enabler for retailers & small businesses. It’s B2C shop front is operated as a zero-commission marketplace. He has spent almost all of his 10 year career in the mobile domain – spanning Telcos, Mobile VAS, Mobile Marketing and now Mobile Commerce. markt.ooo is his second startup. In 2009 he founded mobimasta, one of India’s first mobile agencies, acquired by a Affle & D2C venture in 2012. Mobimasta dealt in mobile games and application development, mobile advertising, QR Codes and Augmented Reality. They have created apps and games for brands like Samsung, Reebok, Adidas and Orbit Gum. Prior to Mobimasta, he worked with BhartiAirtel (in the Value Added Services division) and with Buongiorno India as head of telecom operator business. With over 10 years of experience in the domain, Anurag has been in leadership positions from a relatively young age. Being a true believer in the mobile marketing movement, he hopes to grow the industry into a billion dollar strength in times to come. Startup Leadership Technology Consulting & Strategic Leader managing CXO engagement with over 18 years of experience. Handled complex product and consulting engagements in IT, Mobile and Digital industry. Currently heading the Global Strategy at Zenith System Solutions. Arjun was previously heading the Inertent of Things (IoT ) practice at Netcore Solutions, handling complete business operations including the P&L, sales, technology, product and operations. Previously he was with OnMobile where he handled multiple responsibilities including the Product Marketing for the Music Line of Business, Business Manager function on the Idea Account and Product Marketing lead for the Contest Line of Business. He has also worked as a product Manager at COMVIVA helping build and manage the Mobiquity line of Mobile Financial Services solutions. Specialties: StrategySales, Key Account Management,Product Management, Go to Market Strategy, Product Marketing and Product Sales. Ashish likes to sum up his career as, “Born in theatre, raised by public relations and legally adopted by social media.” A communications professional throughout his 15 year career, Ashish’s PR stints include team lead roles at agencies like Blue Lotus & Text 100, and head corporate communications at Mahindra Special Services Group. Currently in his capacity as Vice President, Ashish is a part of the social media practice at Interactive Avenues, a leading digital marketing firm. He hopes at that his lectures over the years at KC College (PR / MBA), SIMC, EMDI, XIC, Northpoint, etc. haven’t put those in attendance to sleep. He is a Post Graduate from XLRI Jamshedpur and is associated with ICICI Bank, since 5 years for the Analytics and data driven projects. He has accumulated more than 10 years of experience in the Information Technology industry and digital marketing. He is an expert resource on Data Analytics, Digital Marketing and Customer acquisition. Bala is a Certified Google Analytics IQ professional engaged in building ROI across campaigns for products and Mobile APPs. An experienced Digital Marketing Specialist with a demonstrated history of working in the banking industry, skilled in Customer Relationship Management (CRM), IT Strategy, Pre-sales, Product Marketing, and Business Intelligence. A digital media professional with GAP qualification (Twice), Google Analytics Certification and hands on experience in SEM, PPC & Contextual advertising, SMO, and SEO . Bhupendra’s work profile includes understanding the marketing requirement, business of clients, target profiles, market segments and running online initiatives- SEM, Social media, Banner Advertising, SEO etc. He has been fortunate enough to get opportunities to work in almost every possible business domain/category and have lived up to client’s expectations and have been achieving intended ROI in given and committed time period and budget. Deep has been associated with Simplify360, a Social Media Management Platform, a company which boasts of an impressive list of agencies and corporates like Cafe Coffee Day, Spar Hypermarket, Starcom Mediavest Group etc.His acumen for transforming social data into action has led him to conduct several Social Media Research Projects. He specializes in analytics, online marketing, product management and marketing strategy. He is an experienced professional with a demonstrated history of working in the information technology and services industry. Specializations: Product Design, User Experience Design, User Research, Prototyping, Human Centric Design, UX Strategy, Visual and Interaction Design, Inbound Marketing, Content Marketing, and Product Strategy. Over 14 years of experience in Advertising and Marketing Communication with 12 years spent in Digital Media.Gopa is heading Strategic Planning / Buying across Digital & Emerging New Media for Isobar India, Aegis Media. Previously was Heading MEC Interaction, Group M ,Delhi, India and was responsible for maintaining P&L of the Unit, Responsible for Digital Strategy , Media Planning and Buying across digital mediums. Hardik works at the convergence of digital marketing and media planning at Puretech, ensuring utmost synergy between the two functions for his clients. He started out as a search marketing executive at Puretech 8 years ago, but still isn’t afraid to get his hands dirty at his current role as a senior digital strategist. He leads the inner workings and the behind the scenes of each and every client campaign he has ownership of right until its successful completion. His expertise spans several sectors with a special focus on Travel, Hospitality, BFSI, Fashion, Health, IT, Real Estate, and B2B. With a cumulative experience of 12 years in digital marketing coupled with a strong engineering background, Hardik combines his in-depth understanding of online consumer behaviour and robust technical acumen to carry out cutting-edge, viral campaigns flawlessly from start to finish. Experienced Senior Manager Analytics with a demonstrated history of working in the marketing and advertising industry. Skilled in Google Analytics, Web Analytics, Digital Marketing, Digital Strategy, Search Engine Optimization (SEO), Campaign Management, and DoubleClick. Jeetendra is a strong business development professional with a Masters focused in Management and Bachelor focused in Computer Science from National Institute of Electronics and Information Technology. Kaustav’s core focus is in Digital Media and Marketing initiatives with an inspired 8 year diverse specialization in Brand related and ROI driven campaigns. Prior to this he worked for brands like Omnicom Media Group, Bharti Airtel Limited,Starcom MediaVest Group as Marketing Manager, Lead Architect, and Performance Marketer respectively. His profile included developing business for Online Search Marketing, presenting new ideas to clients, combining Offline and Online Media solutions for clients. “Her 12 year journey in this mad AD world has been quite uncommon, she tested the waters in a BTL agency, a radio station, and finally arrived at a place she calls home-Digital. 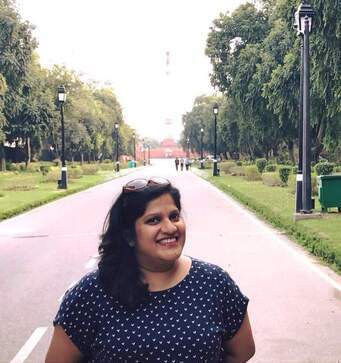 She has previously worked with Digital L&K Saatchi & Saatchi, where she created the seeding strategy for the Idea Honey Bunny Tune, helped Tata Capital win hearts and awards (including the Abbys Grand Prix & International Awards) for Half Stories, and brought alive the Parle G girl to connect with the younger audiences. Her previous stint was at Wavemaker Digital, with Tata Motors, Croma and Platinum Guild India as her core clients. Launching cars with as much aplomb as encouraging people to find their ‘Platinum Day of Love’. Brands she has worked with: Tata Motors, Croma, Platinum Guild India, Tata Capital, Parle G, Parle Marie, Parle Simply Good, Parle Mexitos, Idea Cellular, Birla Liva, Hobby Ideas, Nerolac, Tata Value Homes, Tata Housing, Vodafone, Cadburys, Tata Sky, Gelusil, LIC, Big Bazaar, Star Plus, Colours TV. She currently works at Lowe Lintas as Creative Director, with an aim to infuse the right amount of Vitamin D(igital) to the Lifebuoy Brand across markets like India, Vietnam, Indonesia, Singapore, Middle East, Africa,and Egypt. Lucille is also a Guest Lecturer at MET Mass Media and XIC, where she teaches and conducts interactive workshops on Copywriting in Advertising. When she’s not immersed in writing for clients, she writes for her soul. Her weekends are filled with DIY projects, blogging, trekking , family time, and making the most of her Netflix subscription! Mihir is responsible for developing strategy and planning across biddable media and programmatic at Madison Media. He has 7 years of experience in strategizing, planning and managing various paid media campaigns across various vertices. He is performance driven marketer with a track record of managing multi-channel paid campaigns. Mihir has experience of 4 years working on paid media across various platforms like DoubleClick, Adwords, Bing, YouTube, Facebook and has to his credit a list of reputed clients in Banking, Insurance, Travel & Hospitality, Entertainment, Technology, Automobile, Health Care, Education, vertices to name few. Before mastering skills of working on Paid Media, he has added 3 years of experience in Organic Search and Software Developer in his portfolio. Mihir was Strategist – Paid Media and was responsible for a team of fifteen and developed RTB and Search Strategies across his portfolio at iProspect Communicate2. More than 16 years of quality work experience, recognition and appreciation with proven success in managing key leadership roles across industries on both the Client and Agency side having key emphasis on Digital Marketing and Strategy, E-Commerce, Social Media Marketing, Mobile and Search Marketing, Digital Media, Analytics, Business Development, Account Management and Client Servicing. He has been a practicing media communication professional for over 27 years. His primary expertise is the development of communication plans for various brands along with those for social change. This journey has taken him across various parts in India, Jordan, Palestine, Yemen, Singapore and Taiwan. For the past 5 years, he has been involved in learning and devising ways and means of using new media, internet and mobile and developing communication to affect change in dissemination of education in rural areas. Priya is a Digital Marketing Specialist with comprehensive experience in Digital Advertising, Content Development and Online Marketing. She has amassed abundant insights in profit centre operations, business consulting, business development, Campaign Management,banner advertising, Search Engine Optimization, Social Media Optimization, Media Planning & buying, Affiliate Management, E-mail marketing, Web Analytics, Usability, Accessibility, customer acquisition and retention. Raghu is currently the Managing Director, India and MENA for MediaMind, a global provider of digital advertising solutions that optimize the use of media, creative and data for enhanced campaign performance. He is a seasoned new media executive having extensive experience in working with online media and businesses. He specializes in aligning business strategy with new technologies and opportunities thrown open by online media. He has co-founded two highly successful companies ‘cellexchange’ and ‘cinoni’. Started his career as an entrepreneur back in 2006. A gang of friends introduced lifestyle tabloid in the emerging market of Cochin and Trivandrum in Kerala. The tabloid was created keeping in mind the aspiration of the urban IT crowd who wanted to experience the various nuances of life with special focus on the happenings in the city of residence. Having realised that the content and the format was much ahead of time, He moved to Bangalore in 2008 and joined DNA newspaper for ad sales. Taking a leap of faith in 2010, he switched gears and moved to digital marketing in Interactive Avenues. He learnt the basics of digital marketing during his stint at IA, where he also had the opportunity to work with some of the leading brands like Tanishq, Xylus, Toyota, Myntra, Britannia, Carat Lane to name a few.In 2011, he was entrusted upon the responsibility of setting up Isobar, a Dentsu Aegis Network company in Bangalore. In a span of 5 years, he grew Isobar from the single person agency to 50 employees. In 2016 Dec, he decided to start company of his own. At Isobar, he worked with AirAsia, Myntra Fashion Brands, Wrangler, Sterling Holidays, Sun NEtwork, Sonata Watches, Flipkart Ads, 3M India, Acer, TTK, etc In his current role at What Clicks,he helps brands & agencies alike to manuever through the intricacies of digital media marketing and improve efficiency and effectiveness by driving awareness to adfraud, viewability, security, and campaign optimisation. Ritesh founded ARM Digital after a stint as the National Director at MEC Interaction. Before this he was Business Head at SMG Digital where he worked for 6 years. In his role at SMG, he was one of the leading flag bearers of digital in India. In his last role as a Business Head – India, SMG Digital, he had been steady in learning, co- learning and imparting digital knowledge with clients and publishers partners, managing and mushrooming existing business and also working with global teams on global clients. At SMG, he was also part of many global digital initiatives and pitches and latest accolade was being part of GLOBAL IMPACT CIRCLE, a 25 member global team set to achieve various common objectives across the globe. Digital Strategist with experience in creating multi-channel online campaigns with a complete understanding around content, social media, display,programmatic ,native,mobile and digital marketplace. A Certified Digital Marketing Professional. Rohit’s expertise is in Online Media buying and planning, Online branding, Search Engine Marketing, Facebook adverts ,Twitter ads, Digital Ad operations & Google Analytics. Sachin has more than a decade’s experience in handling brands and has been associated with large advertising agencies in India like Motivator, Maxus (Group M) , Reprise and FCB Ulka . He has handled more than 40 brands and donned multiple hats – Communications Planner, Marketing Manager, Advertising & Digital Strategist. Lead Digital Strategy for Iconic brands like Coca-Cola, Nestle Social Command Centre, DAT, Apple , Yamaha etc.and many start-ups .He now runs his own company ‘Bottle Openers’ –a growth hack digital communication consultancy services. Specialties: Communication strategy, New Product Launch, Brand Management, Retail Strategy, Brand Activation, Market Research, Online & Mobile Marketing , Social Media Marketing, Web Design, Web and Social Analytics. Over 10 years of diverse experience in Digital Marketing, Digital Sales Strategy (publisher side) and technology, across large established companies like Network18 (moneycontrol), GroupM (Mindshare), and Infosys. His experience is a unique blend of client-side and agency roles. In his current role as Lead Sales Strategy at Moneycontrol, Saurabh works very closely with brands to create custom solutions across content, display & programmatic to deliver greater business and customer impact. He also leads Digital Marketing for moneycontrol. In his previous stint he worked on Digital strategy and campaigns for an array of brands including ICICI Bank (International & Domestic), Castrol, Bajaj Auto, MP Tourism, Kelloggs, and Godrej. His interest areas include digital strategy, digital sales strategy, digital marketing, analytics and media planning. With over a decade of experience in Digital Media, Shashank is an experienced product and marketing expert with a broad experience in planning, usability technology and business planning for internet products. Shashank has served with Aircel as Head, Digital Marketing and engagement and Bharti Airtel Limited as DGM, Marketing. His core competencies lie in technology & product specs, information architecture and usability, ad positions, SEM and SEO implementation. A sccessful leader in building digital as a key component with 18 years of cross-industry experience in marketing & handling green field projects he has the homour of beng listed in Paul Writer’s Top 100 Digital Marketer 2018. He has worked with brands like Tata Tea, Mahindra, Times of India, IAMAI, and has helped set up or enhance their existing digital capabilities. His focus has always been on aligning ‘digital’ (consumer facing) with business objective. Shubho has looked after and grew Coca-Cola digital properties in India/SWA, this included setting up Coke Studio India. He has also worked with a global team on London Olympics, setting up ‘Unified Coca-Cola’ global best practices. Currently he is busy with launching his own healthcare startup. Sundar has experince in leadership roles focused on Learning & Development, Commercial Excellence and Digital Transformation. He has built award winning digital learning & sales enablement solutions for global enterprises & written extensively about the possibilities that exist with modern workplace learning practices, with industry experience spanning Healthcare, Financial Services and Shared Service Operations across India, Emerging Markets and UK. Sundar is a Fellow of The Learning and Performance Institute, UK (FLPI) and a member of their global advisory board. In March 2018,he was ranked 8th in eLearning Industry’s annual list of the most influential people in corporate e-learning. In 2017, SHRM India ranked him as the No. 1 HR influencer on social media. In 2016, UK’s Training Journal awarded him a ‘Silver’ in the learning professional of the year category. With a diverse experience from Analytics Consulting to Co-founding one of the leading Social Media Analytics product,Shweta has worked across functions to ensure smooth management and business operations. At Simplify360, she spearheads the business development, partnerships, product vision and overall strategic and revenue growth of the company. Statisticians by education,she is completely data driven and result oriented. With an experience of over 15 years Tanushree bring with her a great combination of marketing and advertising. She has worked with well known digital advertising agencies in India like Webchutney & Zed Digital (Publicis Groupe). During the last twelve years she has been involved in building brands through digital advertising; making search click, “”creating a face on Facebook, chirping on Twitter and making heads turn on the Yahoos & Rediffs of the world””. She has been actively involved with performance campaigns for clients and maximizing ROI. Expertise in handling large cross functional teams dealing with highly diversified portfolios in sales and business development, developed strong business acumen both in Media and Dot Com industries. Dynamic career in sales that reflect pioneering experience and year-on-year success in achieving business growth objectives in well established and growing organizations.